We have a wisteria growing alongside our front steps. It winds up the pillars of the overhang and overhead trellis, and then spreads up, out and across, creating a virtually impenetrable tangle of branches and leaves that is eight feet high, 10 feet front to back and 14 feet side to side. At this time of year it blossoms, and the visual effect is stunning. 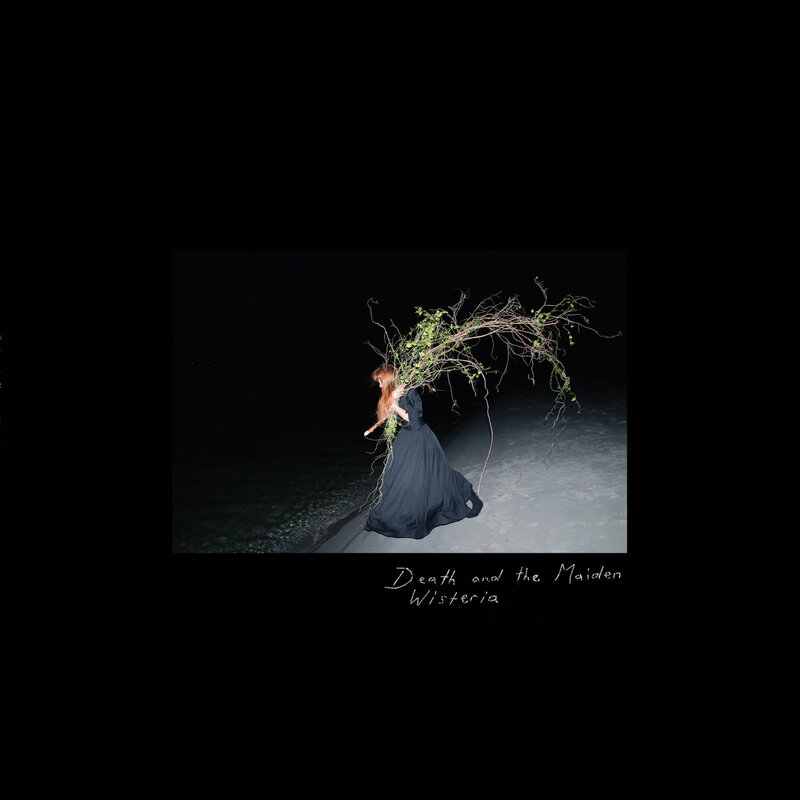 And with our own foliage in mind, we think that Wisteria is an apt name for the new album from Dunedin, New Zealand's Death and the Maiden. Its nine tracks present dark, tangled pop, full of mystery and unease, but always propelled forward by an insistent, inspired polyrhythmic beat. The synths and reverbed guitars create an enveloping sound, like a dense aural fog. The overall effect is hypnotic, evocative, and addictive -- at the same time claustrophobic and liberating. And frankly, after listening to it we find it hard to turn directly to other other music. Death and the Maiden are Danny Brady, Lucinda King, and Hope Robertson. Wisteria is out now via Fishrider Records and Occultation Recordings.